If you work with power tools and other large equipment in the garage or workshop or even around the house when doing some installation and repairs, then you know the usefulness of cord reels. These reels make it possible to bring power where there are no outlets nearby and so they essentially work as extra long extensions. But, as helpful as cord reels might be all are not the same and they will differ in much more than just the length. The quality of the cable and housing will be different for these cord reels and some will also have extra features to improve their performance while others are just basic reels. Choosing the best cord reels will require you to shop around and compare different brands but you also need to have the right information. And our reviews of some of the best and guide will provide this vital information. 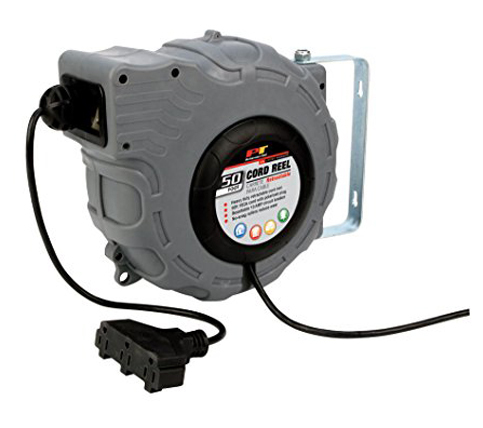 If you need a cord reel with a long and heavy-duty cord here is the perfect option for you. 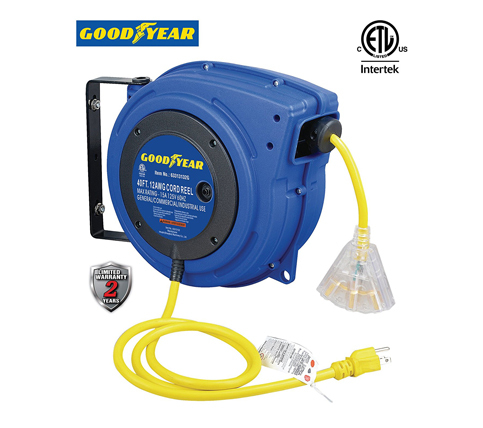 The cord is 80-foot long and the reel has a robust design with 4 power outlets that are rated 120V 10 amp. The cord comes in a bright color for easy visibility and it also uses a right angle plug that is easy to plug into any outlet. Also, it has an on/off switch, safety overload and it also makes clean up quick and easy. Here is a more affordable version of the heavy duty Masterplug cord reel that comes with a 40-foot long cord. 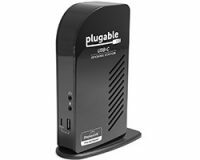 It also has four surge-protected power outlets with a rating of 120V 10 amp each. The cord is very convenient to use as it will store in a heavy-duty reel to make it easy to use and store. Also, there are reset and on/off buttons on the reel and the tangle free cord will come with a right angle plug. Flexzilla ZillaReel 50-Foot cord reel is easy to use and highly convenient as it is very portable. The reel comes with an adjustable cord stopper that will ensure that the outlet is always within reach and it has some lighted triple outlets that provide plenty of capacity. Also, the retractable cord reel also has a circuit breaker with a reset button to prevent trips and blown out fuses. And there is also a swivel mounting bracket that will rotate up to 180 degrees to allow mounting on both walls and ceilings. Tough and sturdy cord reel like the Bayco SL-2000PDQ is always great to have around as they can withstand the regular use and the elements. The cord reel has a tough polypropylene construction that is both shatter and temperature-proof and so you can be confident that it will last for a long time. Also, it will hold up to 100 feet of extension cord and it comes with four grounded outlets and with a re-settable 15 amp circuit breaker. And it has a side-mounted handle to make it quick and simple to roll up the cord. 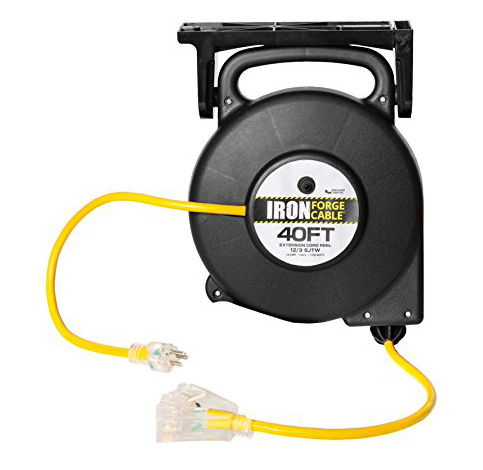 When you do not need a long extension cord or a cumbersome reel here is the best options for iron. 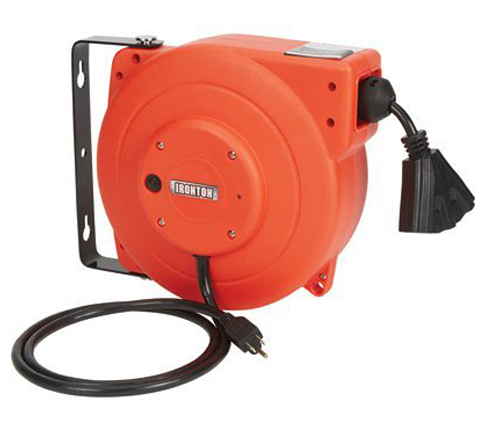 The 30-foot long retractable extension cord reel is automatically retractable for convenience and efficiency. It also comes with a mounting bracket to make it possible to attach it to the garage wall or ceiling. 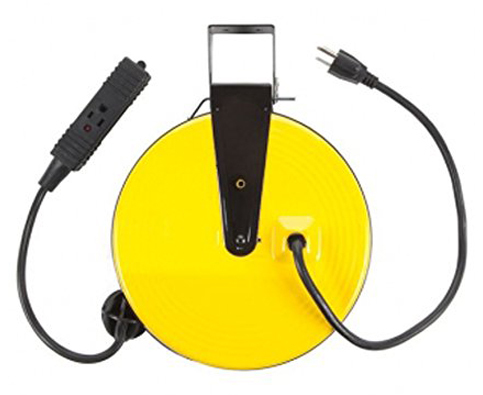 And there are three power outlets on the reel for multiple tool connection and other extras such as the vinyl covering that protects the cord from the elements and LED lighted plugs. The 30-foot integrated cord on this reel should be enough when working in the workshop or garage. 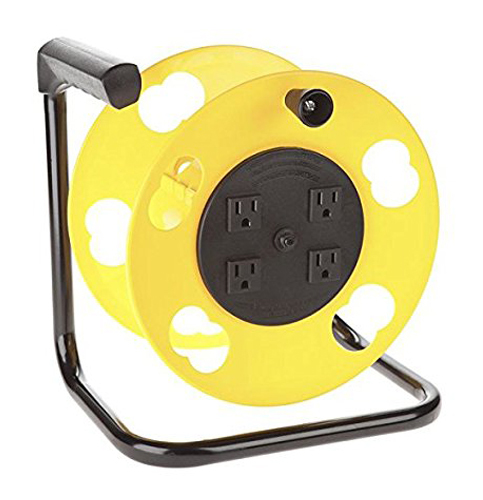 This tough reel comes with 3 grounded outlets to make it possible to connect several tools or equipment at a go and a mounting bracket for attaching it to a wall or ceiling. Also, there is an LED status light on the outlet bar that will be very convenient and the cord has a 10amp power rating. 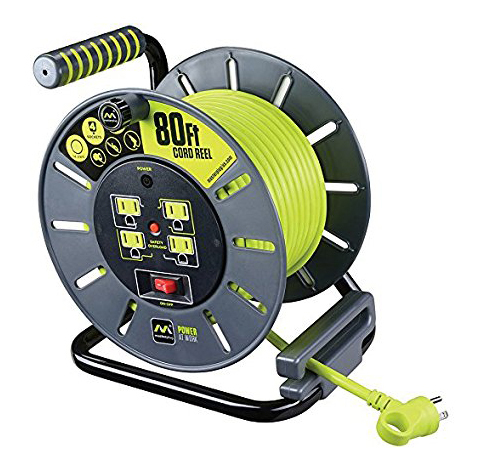 Although this extension cord reel is a little pricey when compared to others, it is worth it as it is a highly durable product that you can be sure of using for many years. This fantastic cord reel comes with a tangle free 12-gauge encased cord that is easy to wind and it is well protected when in storage. This cord is spring retractable and there is also a latch to help with this. 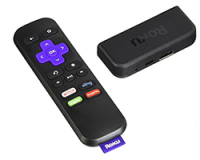 The case is also a high-quality and impact resistant polypropylene material and it also has a swivel bracket that will allow for mounting on walls or ceilings. Goodyear is a famous and highly reputable brand and so you can always trust any of their products to be high performing and long lasting. 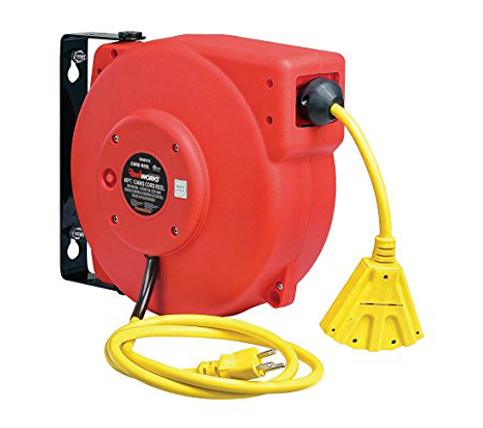 The 40-foot extension cord reel comes in a compact design for convenient storage. It also has an enclosed driving spring for protection against contaminants and the cord reel is structurally strong thanks to the plastic housing and other high-quality components. 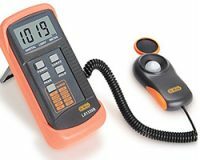 The improved ratcheting helps to lock the cord in any desired length and there is also a circuit breaker with arrest button. If you want a cord reel that you can mount on a wall or the ceiling easily, this one will be perfect as it is both compact and lightweight enough. 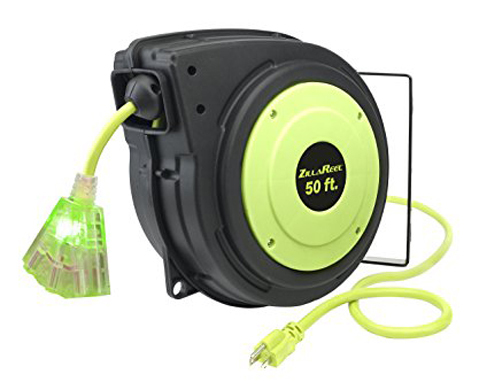 This cord reel comes with a 40-foot heavy duty and a retractable cord that is housed in an impact resistant polypropylene case and with some mounting brackets for wall or ceiling mounting. Also, it will swivel 180 degrees to prevent cord tangling. The 50-foot long and 16-gauge cord with a polarized plug and 3 grounded 10 amp power outlet make the Performance Tool W2273 a great buy. Also, the cord has an auto-rewind mechanism that ensures even return every time, and some level-wind rollers that reduce wear. And there is also a 10 amp circuit breaker that you can reset which also helps to ensure that this cord reel serves you for long enough. Cord reels are one of those things that are almost a must-have for anyone that works with large equipment and power tools. But, what is even more important is getting the best from the myriad of options out there. And choosing the best should not be a problem if you consider the following vital points. The cord length is always one of the first factors to consider when choosing reels. And here there is no right or wrong length as it all depends on your needs. You can get these reels with cords that are as short as 10 feet to others that are upwards of 50-foot long. And the best idea is always to go for something significantly longer even if you do not need all that length as it might be handy for feature projects. Cord reels might not be very pricey but you still do not want to have to buy a new one after every few months. Hence it is important to consider the overall durability of the reels. And here you need to watch out for the quality of both the housing and the cord. For the housing, you can get some tough plastic or metal ones while for the cord you should look for something heavy-duty and scratch-resistant. The number of power outlets determines the number of machines or tools that you can plug into the extension cord at a go. Hence it is also an important factor to consider when shopping. Go for something with at least three or four power outlets if you are not sure how many you will need. But, there are some users that will still just be fine with one. 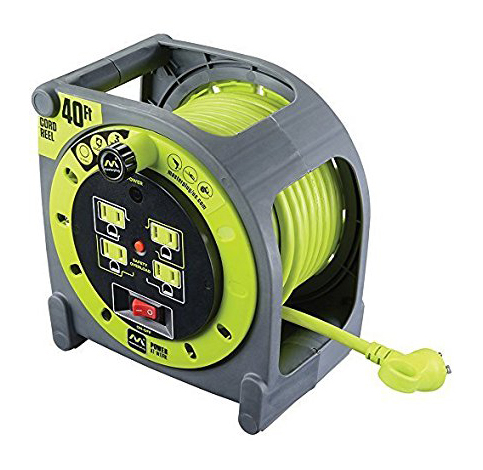 Extension cord reels are highly convenient and they ensure that you will not have difficulties working with your power tools even when there are no power outlets nearby. However, there are many types of cord reels in the market and so you should always aim at getting the best. And for this, you need to consider factors like the cord length and overall durability. With these points in mind and by comparing between different cord reels, you should not have a problem finding something long-lasting that suits your needs.